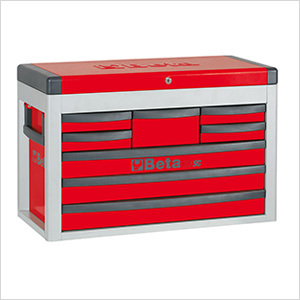 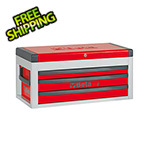 The C23SC top tool chest by Beta Tools offers 8 locking drawers on ball-bearing slides that are complemented by a large top 2-inch deep compartment. 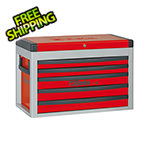 The top lid also has a key lock for extra security. 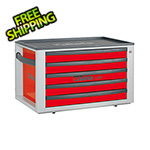 The C23SC is designed to fit on top of the Beta Tools C24S Rolling Tool Cabinet (sold separately).